Enterprise Resource Planning (ERP) is a software suite used by nearly all medium to large companies. As the name suggests, it helps to plan, manage as well as efficiently deploy enterprise resources. The requirement and importance of such software do not need elaboration. 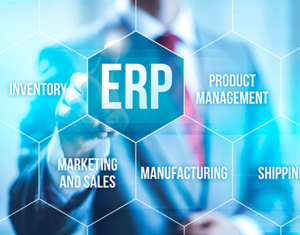 There are many ERP software vendors in the world. The ERP Customers Contact Data by Leo Data Services contains all the information about users of ERP the world over. These are small family run businesses as well as large corporations. Furthermore, this list database has divisions according to usage and software in use. Such an email list helps marketers of similar services advertise their products. Additionally, the ERP Users Contact Data can also help to judge the market for such services. Advertisers can deduce user preferences and accordingly promote the ideal products. Why choose the ERP Customers Contact Data from Leo Data Services? Leo Data Services has an impeccable reputation for providing accurate market intelligence. Our data teams glean their information from an extensive research into market scenarios as well as economic indicators. Furthermore, the ERP Customers Contact Data undergoes verification, deduplication and appending to ensure accuracy. In addition to this, we also scrub our databases for nothing but up-to-date information. With our extensive mailing databases, you can carry out a multichannel marketing campaign and expand your customer base to achieve ROI. Why should you buy ERP Customers Contact Data? Having relevant information about the right prospects is key to building thought-provoking and fruitful advertisements. And, on the other side, you also do not waste valuable resources in trying to reach the wrong potential clients. The contact data gets you better decision-making abilities and this has a positive impact on the overall deliverability of your marketing strategies. Additionally, you can also trace out the productivity of your marketing campaigns by getting the exact results.